The latest reviewed version was checked on 29 October 2017. There are 3 pending changes awaiting review. 1 1. Explain and demonstrate the main points of good hiking practice, such as pacing, speed, resting, and etiquette. 2 2. Explain the importance and method of proper foot care with regard to cleanliness, care of nails, socks, shoe selection, and first aid of tender or blistered feet. 3 3. Make a list of proper clothing to be worn on a hike in both hot and cool weather. 4 4. Make a list of needed gear for a long day hike in the wilderness and a short coun­try hike. 5 5. List five safety and courtesy rules to be used in wilderness trail hiking and road hiking. 6 6. Explain the importance of drinking water and list three signs of contaminated water. 7 7. Explain the importance of proper eating while hiking. 8 8. Describe proper clothing and foot gear for cold and hot wet weather hiking. 9 9. Submit a written plan for a 10-mile (16.1 km) hike which includes: map route, clothing list, equipment list, and water and/or food. 10 10. Use a topographical map and/or a road map in planning and doing one of the hikes in Requirement 11. 11.5 e. Within a month of each hike, write a short report, giving dates, routes cov­ered, weather, and any interesting things you saw. The Hiking Honor is a component of the Wilderness Master Award . For those in the South Pacific Division check your Division honour site to get your latest version of this honour. There also is a workbook you can download and for the teachers a teachers document. Hiking 1 & Hiking 2. When two groups of hikers meet, it is considered a common courtesy to exchange greetings (either verbal or physical (e.g. smiles and friendly nods)). To pass another group without such acknowledgement is seen as rude. The most important aspect of proper foot care for hiking is to have proper footwear. It is a good idea to wear two pairs of socks on a hike: a thin pair next to your skin, and a thick, padded pair over the thin pair. This arrangement will cause the socks to rub against one another instead of rubbing against your feet causing a blister. When shopping for hiking boots or shoes, wear the type of socks you intend to wear when you hike. You will likely need to buy hiking shoes or boots that are a little larger than your normal shoe size to accommodate the extra thickness of socks. Hiking shoes should have good ankle support and should lace up tightly. Look for good tread on the soles and sturdy construction. You should wear new shoes for a couple of days of regular use before pressing them into service on a hike - this will break them in. New shoes are another common cause of blistering. Bring extra socks with you on a hike so that you can change them if they get wet. Hiking in wet feet will soften the skin and lead to blisters. It can also lead to fungus growth and immersion foot. Immersion foot occurs when feet are cold and damp while wearing constricting footwear. Unlike frostbite, immersion foot does not require freezing temperatures and can occur in temperatures up to 60° Fahrenheit (about 16° Celsius). Immersion foot can occur with as little as twelve hours' exposure. Affected feet become numb and then turn red or blue. As the condition worsens, they may swell. Advanced immersion foot often involves blisters and open sores, which lead to fungal infections; this is sometimes called jungle rot. If left untreated, immersion foot usually results in gangrene, which can require amputation. If immersion foot is treated properly, complete recovery is normal, though it is marked by severe short-term pain when feeling is returning. Like other cold injuries, immersion foot leaves sufferers more susceptible to it in the future. Immersion foot is easily prevented by keeping the feet warm and dry, and changing socks frequently when the feet cannot be kept dry. Before you set out on a hike, check that your toenails are properly trimmed. They should be trimmed straight across, such that they do not hang over the edge of the toe. Cutting them too short or in a curved shape can cause them to become ingrown. Ingrown toenails tend to cut into the toe at the edges of the nail, leading to infection and extreme discomfort. Leaving your toenails too long can make them susceptible to breaking off, and that can force you to have to cut them too short - again leading to an ingrown nail. Also, long toenails will wear holes in socks more quickly than properly trimmed nails. Blisters on the feet and toes are caused by something repeatedly rubbing on them, such as a sock or an ill-fitting shoe. As soon as you detect soreness, you should stop and examine the foot. Reddened skin is the first sign that a blister may be forming. Covering the affected area with an adhesive bandage or even a small strip of duct tape will help prevent a blister from forming. If possible, cover the area with a donut-shaped moleskin before covering with a bandage. This will help alleviate pressure on the area. If the blister has already formed, do not puncture it. Leave the skin covering the blister as intact as possible, as it provides a sterile environment underneath. If the blister is on a weight-bearing surface on the bottom of the foot and you must puncture it, use a sterile needle, and make as few punctures as possible - just enough to drain the liquid. Do not peel any skin off the blister. You can sterilize a needle or a pin by passing it through a flame. Cleanness'''' Wash the affected area as well as you can using purified water or a sterile wipe. Again, cover the blister with a donut-shaped moleskin, apply some antibiotic ointment, and cover with a bandage. Keep in mind that the weather can change suddenly though. Just because it is warm when you begin your outing does not mean it will be warm the whole time. If there is a chance that the weather will turn cold, take along some cold weather gear as well. Check an almanac to see how cold it can get during the time you are planning to be out. Here is a list of clothing appropriate for a warm-weather outing. Sleepwear For comfortable sleeping and for modesty on overnight trips, bring pajamas or a sweat suit. In many places where it is warm during the day it gets cold at night, so be prepared. 4. Make a list of needed gear for a long day hike in the wilderness and a short coun­try hike. For a long day hike you will also need to plan on a meal or two. Select foods that are low-weight (you will have to carry it remember), high calorie, and easy to prepare (or require no preparation). If your food requires preparation, be sure to bring whatever you need to prepare it (such as a backpacking stove, a mess kit, and eating utensils). Carry your trail mix where it is easily available for snacking as you walk. Do not destroy the flora or fauna. Dispose of trash properly. If no disposal facilities are available, pack out what you pack in. Follow and obey the leaders. Help others with their necessities. Do not play games that can hurt others. For good health and to avoid injury, it is important to stay hydrated. This is accomplished by drinking lots of water while hiking. Signs of dehydration include infrequent urination, strong-smelling urine, dark yellow urine, headaches, irritability, and lack of perspiration. You need to drink before you feel thirsty. It is a good idea to bring a water filter or purification tablets with you on a hike so that you can refill your water containers at every opportunity. Note that water becomes more scarce as you go higher into the mountains, so if you are climbing a mountain trail, stock up on water whenever you see it. Make sure you know how to use your filter and make sure it works before setting out on a trip. You do not want to discover that your filter is defective at a time when your health (and possibly your life) depends on its proper operation. It is especially important to purify any water you collect on the trail before drinking it. Bacterial contamination cannot be reliably detected without lab equipment, so it is better to be safe than sorry. Purifying clean water will not hurt you. Even water that looks clean could be rife with harmful bacteria. 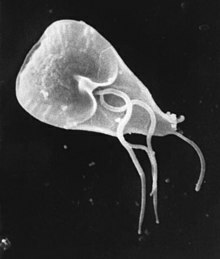 Giardia is a very common parasite that will cause sickness in humans. Diarrhea and intestinal cramps are very real possibilities for those who do not heed these warnings. Nothing living in the water: If you cannot find any signs of life in the water, it is very likely to be unfit for drinking. If plants and animals cannot live in the water, it may contain poisonous chemicals. Oil film on surface: Runoff from roadways can deposit petroleum-based oil in the water. If you see a rainbow slick on the surface, this is a sign of pollution. Foul Odor: Foul smelling water is sure to be foul tasting as well, but the damage caused by drinking it may well extend beyond the taste buds. Food is the body's fuel, and hiking is an activity that burns fuel like a Hummer. Hiking doubles your caloric burn rate, so you must compensate for this by doubling your caloric intake. The most important nutrient for the hiker is water. The absolute minimum is two liters per day. It is far better to drink one liter per hour, especially if it is hot, or if the hiking is strenuous. The remainder of the diet should be made up of 60% carbohydrates, 10-15% proteins, and 25-30% fats. For extended, long-distance hikes, it is important to be sure you get sufficient quantities of vitamins and minerals too. Keeping dry is not only important for comfort - in cold weather it is also essential to safety. Bring an extra set of clothing with you so that if you do get wet, you'll have something to change into. To stay dry, wear a water-proof outer layer. It is also essential to dress in layers and to vent your clothing to avoid sweating. Perspiration will soak your clothing just as quickly as precipitation. Footwear should be as waterproof as possible and provide warmth. To avoid blisters, footwear also needs to be snug. Many hikers prefer mukluks for cold-weather hiking. As with cold, wet weather, you should bring an extra set of dry clothing for hot weather. Bring a poncho, or other waterproof outer layer to keep yourself dry. Waterproof hiking boots will help maintain dry feet. 9. Submit a written plan for a 10-mile (16.1 km) hike which includes: map route, clothing list, equipment list, and water and/or food. A 10-mile hike should include one meal, and it should provide about 2000 calories. The meal can consist of the "main" portion which is eaten as a meal, as well as "trail food" which is eaten while walking. GORP (Good Old Raisins and Peanuts) is the classic hiking snack. The description of the route can be simple, but it should be detailed enough so that others can retrace your steps. Leave the plan with someone who is not going with you in case there is an emergency and you are unable to return when planned. This information is essential to a rescue team should the services of one become necessary. A topographic map shows the contours of the land. These tell the map reader where hills are, and how steep they are. They also show where you can expect to find water (which you will filter before drinking, right?) or interesting scenery (such as water falls and overlooks). A good topographical map will also show roads and trails - essential information for planning a hike! Many of the topographical maps made for hikers will also indicate distances between trail intersections for easy distance calculations (just add them up). More details for reading a topographic map can be found in the answers to the Orienteering honor. A 5-mile hike can be done either in the morning or in the afternoon. It is an excellent Sabbath afternoon activity. One way to do this is to plan to hike around the neighborhood after church. If you schedule it to coincide with a church potluck you won't have to worry about feeding the troops. You will want to plan the route ahead of time though, and be sure it is at least five miles. Again, a five mile hike can be done in half a day, either in the morning or in the afternoon. However, unless your church is located near a wilderness trail, this will involve some travel to reach the trailhead. Your Pathfinders may be able to eat a sack lunch in the car either on the way there, or on the way back. A 10-mile hike will generally take all day, so plan to set out early in the morning and return in the evening. Everyone should bring a lunch. Fifteen miles is a long hike, and should not be attempted in a single day except by people in excellent physical condition. If you can, plan an overnight hike, going at least 7.5 miles into the wilderness, and then hiking back out the next day. Note that this will meet a major requirement for the Backpacking and Pioneering honors. This hiking record can be incorporated into the regular Pathfinder program so that any Pathfinder who has fully participated in club events will meet this requirement in a two-year period. Plan a 5-mile hike every fall - alternating every year between rural/town hikes and wilderness trail hikes. Have your Companion class plan a 10-mile hike each Spring. The 15-mile hike can be done every other year, perhaps during the summer. Plan an evaluation session during the meeting after each hike, and have each Pathfinder turn in the report.